I well tell you what I am totally digging lately, pink and leafy greens. I know that the leaf decor trend has been in for awhile now, and has even made its way into Summer fashions, but I cannot get this look out of my head. For all of you non-believers out there, the people who think a pink and green color combination is only for Lily Pulitzer, think again. 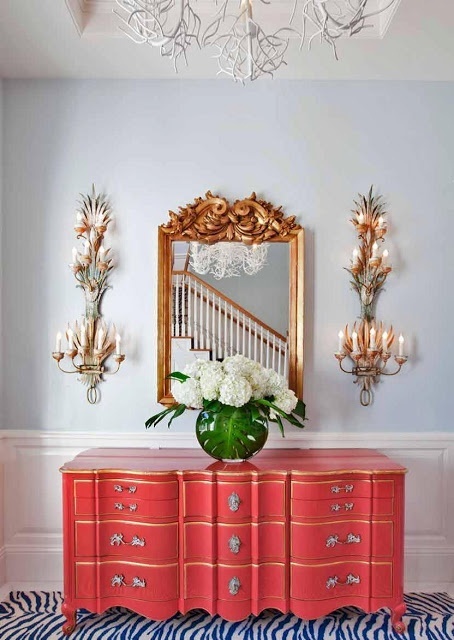 Everyone needs a little Palm Beach Chic in their life. For God's sake, if I don't get some leafy decor in my life I am going to choke a you know what. Tell me you aren't down, just try. One of my favorite combos. I love that first kitchen. btw congrats on the House Beautiful shout out that is awesome! Some of my favorite rooms! Love the color combo. When done right, it will always be chic. I love everything! Pink and green is one of my fave color combos. 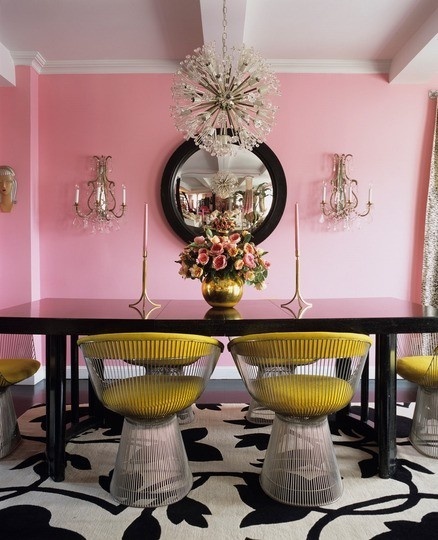 That first dining room is a killer! Yes to all of the above images. That couch is amaze! Lindsay that 1st image, oh my, and the first office are my faves!! Wow. Love love love this combo!! 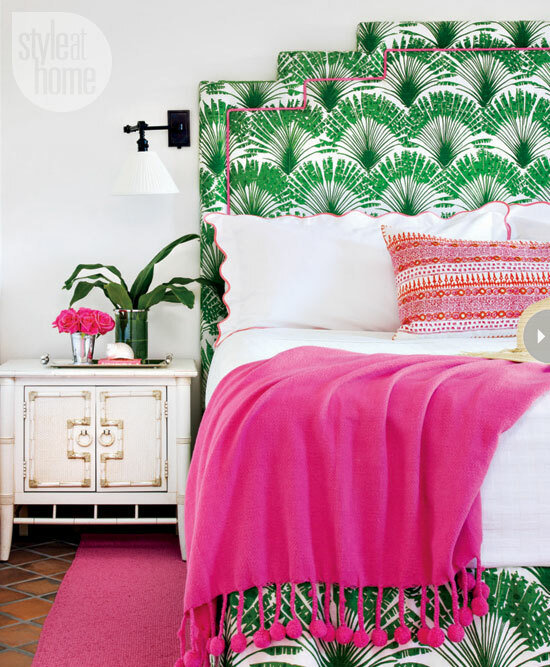 LOVE the fig leaf wallpaper!! All of those combos are so fun and fresh! Lindsay- as a fellow leaf lover myself, I agree that you really *need* some leaves + pink in your life. My green leafy chair with the pink dragon pillow is easily my favorite spot in the house. Love it. Don't think I will ever tire of looking at it. So get to it and let us know how you add leaves to your home! Loooove it. 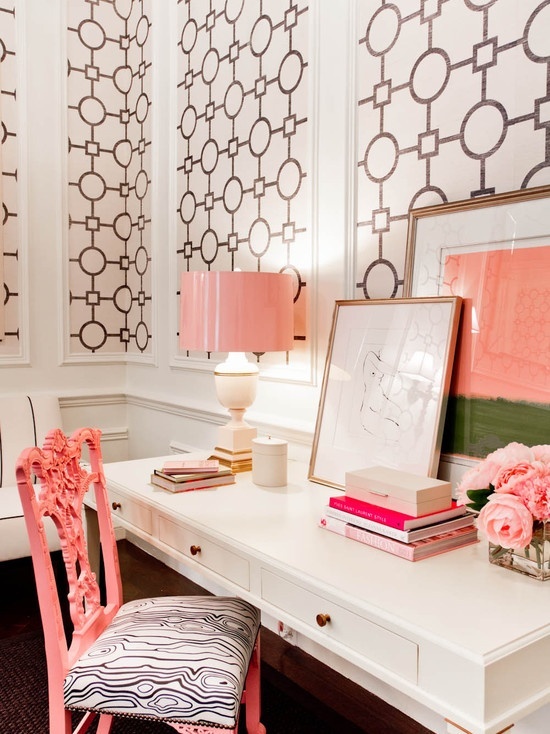 Some of these rooms look like they are straight out of a Lily Pullitzer mag. The graphics and colors in those Style at Home images are punchy perfect. Always have loved this combination! I adore all of your inspiration pictures!! 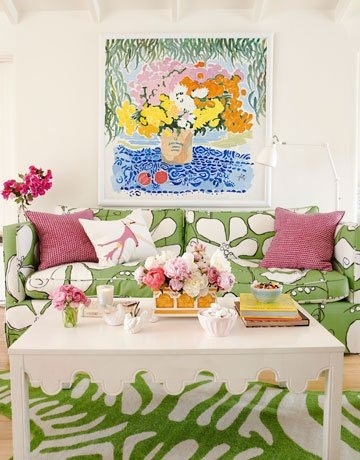 The pink and green combo is such a fun way to spruce up your place and add some pops of color!! I've been obsessed with that 1st picture for.like.ever! I love everyone of these happy spaces. Viva la PINK! This combo is making me so happy as well! I'm typically a pink girl so no shock! Lindsay I love all of these!! !